The European Union is in danger of disintegrating. But only united, will the countries of Europe have the influence necessary to help shape our rapidly changing world. Thus, it is vitally important that all who value and care about Europe become active now and take a stand. Everything is at stake for the European Idea. The European Union was and is first and foremost an alliance to safeguard peace. This peace is now threatened both internally and externally through nationalist and protectionist tendencies. Communities are drifting apart. Previously reliable political structures and alliances have come into question or have begun to fall apart. If one wants to live in peace, one must strengthen European unity and not allow Europe to become divided! Each and every one of us is responsible for shaping our future. It is time to stop making excuses and to stop hoping that everything will be alright in the end. Europe needs all of us to stand up for human dignity, freedom, equality, political diversity, and solidarity. Destructive and backward-oriented trends must be challenged and fought. Democracy can only survive when its citizens are actively engaged. Democracy can fail because its supporters failed to act in its defence. The heartbeat of democracy must be heard. Already in multiple member states of the European Union, fundamental rights like freedom of the press, freedom of expression, and freedom of assembly are being violated and the rule of law is being restricted. These attacks on the foundation of a united Europe are not acceptable. Separation of powers and legal certainty must be guaranteed throughout the EU. Government action must occur only on the basis of legal and democratically legitimate laws. Independent courts, society, and the press must be able to exercise their checks and balances. The interaction of free movement of persons, goods, services, and capital is the basis of the single market and a prerequisite for individual freedom and prosperity in Europe. Yet only an economy that is sustainable will be fit for the future. In order to strengthen the cohesion of the European Union, further steps toward parity of living conditions and equality of opportunity are required. The European Union must be preserved so that it can be improved. And without improvement, it will not survive. Citizens must be actively involved in the reform process so that the unity of Europe is supported by all. Broad public dialogue over key European issues is the basis for democratic participation. Concerns must be heard and their underlying reasons addressed. It’s a matter of transparency and credibility. The European Idea must be more clear and be attainable for everyone. Diversity within Europe is great. Preserving regional differences and maintaining that diversity must be a central tenet of the European project. Simultaneously, Europeans are bound together: The history of every single country is unique but cannot be written without taking in to account the history of other countries. Spoken and cultural traditions in Europe have always permeated and influenced each other — and will continue to do so. Diversity and commonality are not contradictory: No one need choose between their regional, national, and European identity! The feeling of solidarity is what makes Europe vibrant. It’s about developing a European civil society. We must learn to think as Europeans and understand that the well-being and woes of our European neighbors impact us directly. To achieve this, we must develop a transnational public realm. The more we foster linguistic and cultural reconciliation, the greater the chance we will gain understanding for one another. That requires balanced and understandable media coverage. There needs to be a pan-European perspective and not only a national point of view. 9. Stand up, get active, and vote! Let’s make the European sentiment visible and audible once again. We want to jolt the silent majority. We are convinced that the number of people who are in favor of the European Idea is larger than the number of those who are against it. Speak up for Europe and engage in discussion. Vote, and support Europe-friendly parties. 10. Everyone can participate – and should! 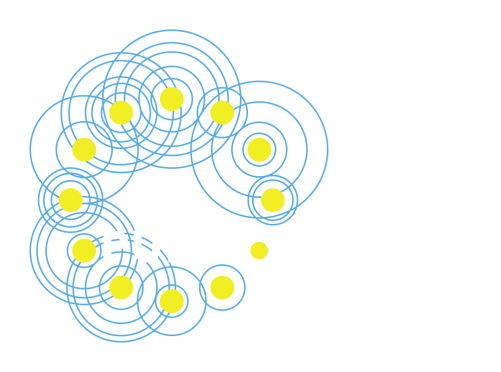 Pulse of Europe is a non-partisan, independent movement of European civil society. Everyone who believes the European Idea is important can play an active role. The beating pulse of Europe is meant to be felt.